adapted from Serious Eats. 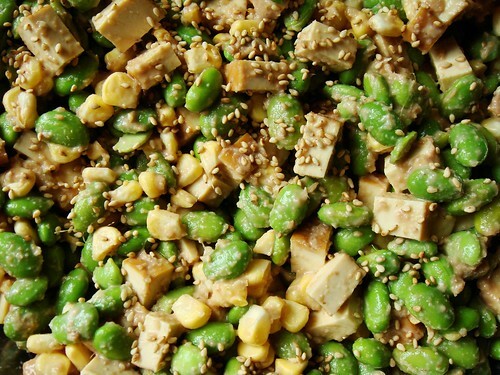 I used 2lb of edamame, 400g of diced smoked tofu, 3 ears of fresh corn (the sweetness is incomparable. Don’t substitute with frozen or canned), and 2 stalks of finely chopped green onion instead of red onion.